You’ve been working hard all year and you’re craving a little South Beach escape. The only problem is, all this nonstop news about economic Armageddon has you scared to open your wallet. But don’t give up on your dreams just yet! With a little know-how, you can have a great time in Miami without breaking the bank. It’s all a matter of learning how to avoid the money traps! Here are some tips that can help you stick within your vacation budget. 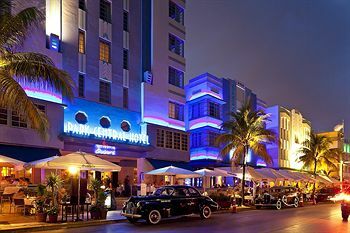 As we mentioned in an earlier story, if the hotel rates in South Beach are leaving you cold, hostels make a great alternative. If you’re willing to share your room with other travelers, there are places you can sleep for only $20-$30 a night. But let’s say you’re not feeling so sociable! You don’t want to be serenaded by snoring Romanians…you’re not on the same inner time clock as the late night partiers from Brazil…and certainly, the smell of sweaty socks is offensive in any language! Let’s say you want your own personal space. If this is the case, then one of the best things you can do is to travel in the low season. From about May to September, hotel rooms tend to be much cheaper, and it’s much easier to ask for a deal on a private room. Are you a student or a senior? Are you traveling with your family? In that case, be sure to ask for a discount! Also, if you’re staying for an extended period of time, like a week or two, many hotels are willing to give you a free night. Another rule of thumb is to avoid travel agent and room-finding services. Do your own research and talk to the hotels on the phone or in person. And that “great” Internet rate? Don’t believe it! A lot of places will charge twice as much for their rooms online, gambling that you aren’t familiar with the going rates. Often, they’ll quote you a cheaper rate at the front desk if you show up in person. They know it’s too easy for you to find a better deal up the street. And if they give you a satisfactory rate, make sure there aren’t any hidden costs, like resort fees, that they’ve failed to mention. Another hidden cost is parking. Most hotels in South Beach charge extra for it. If you plan to drive, be sure you know what the daily rate is, as well as any applicable taxes. Be wary of misleading “2 for 1” drink specials! On Ocean Drive, that first drink is typically $24! When traveling with friends, a great way to save on your meal is to order a side salad and split the entree. Keep in mind that in many restaurants in Miami Beach, the tip is pre-included. Always look over your bill carefully to make sure that a service charge hasn’t been added in. You don’t want to tip twice! If it has, it is your right to lower that amount if you weren’t happy with your service—or, you can leave a little extra if the service was really great. Avoid hotel breakfasts and expensive coffee shops. You can try a Cuban coffee from many of the markets in Miami Beach for only about $1. Some establishments will advertise $5 breakfasts. That sounds great…until they bring you your $8 cup of coffee! It pays to save your restaurant outings for special occasions. The rest of the time, you can buy hot and cold meals from the local markets and grocery stores. Often, they come in sizable portions, giving you a lot more for your money than you’d get in a restaurant. Picnics are another great way to save money, and Lummus Park makes a perfect setting for one. Miami is one of the few US destinations where it’s actually better not to rent a car. Besides, renting a car here is expensive, and will lead to constant headaches and pricey parking fees. 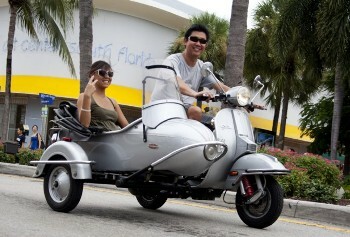 A good rule of thumb is to just forget the wheels and get a room that’s close to the action in South Beach! You’ll be able to walk to all the happening places, and public transportation there is abundant and cheap. For example, the South Beach Local is only a quarter—and covers the entire area every 10-15 minutes! If you want to get to the mainland, there’s the Metrorail, mainland Miami’s monorail system. While it only provides service to select areas, they tend to be the most popular ones. Be sure to check out the map on the website to see if it’s convenient for you. For other trips, the buses are an inexpensive and worthwhile option. Plus, they’re a great way to see get a close up view of everyday life. If you do decide to bring a car, be careful where you park! City garages cost about half of what private garages charge to house your Honda! Here is a list of city garages in Miami Beach for your convenience. In these garages, rates (as of February 2012) average $1.00 per hour or any portion thereof up to 15 hours, and a maximum daily rate of $20.00 for any time exceeding 15 hours up to 24 hours (applicable sales tax is included in the hourly and maximum rate). Monthly rates are currently offered at $70, space permitting. Do you plan to go to Orlando or Key West? Buses are a much thriftier option than planes! For instance, a trip to Orlando from Miami costs about $165 by plane—but only $35 by bus. You can enjoy a day trip to Key West for just $66. Other ways to save a few bucks: bring your toiletries at home, and what liquids you can’t take on the plane, you can purchase in travel sizes at local drug stores. For phoning home, buy a phone card at one of the many markets. You can call many countries for just a few cents a minute! Learn some basic expressions in Spanish, in the odd event you might find yourself in a situation where English is not spoken. So, chin up, armchair traveler! There’s no need to stay at home fretting over a lack of finances, your nose pressed to the cold window, while you gaze out at the bleak winter world around you! Using just a few of these budget-friendly tips can help you make your tropical dreams a reality!